Today I have something a little different for you. Baby pants! One of my best friends is having a baby soon, and I wanted to make something special for her soon-to-arrive little boy. I had just finished the coziest pajama pants for myself (yet to be blogged), and I had some leftover fabric. 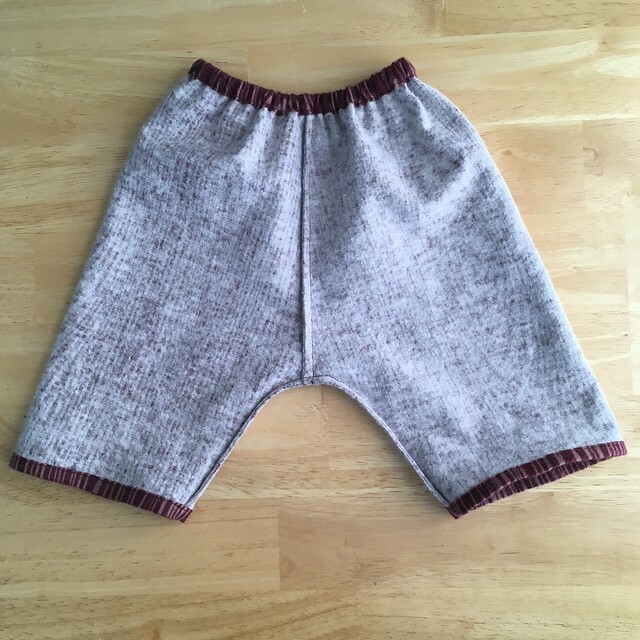 It was perfect for some soft and cozy pants for a tiny baby. 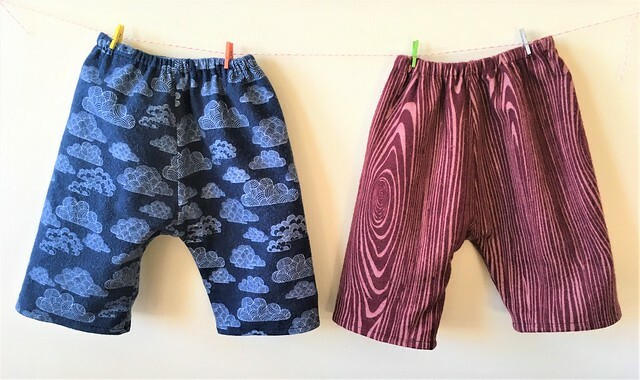 A little search on the internet led me to this free pattern: Rae’s Basic Baby Pant from Made by Rae. 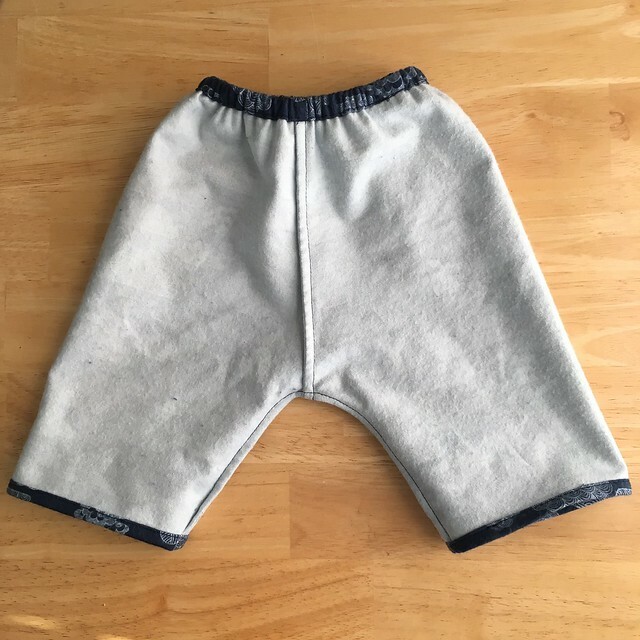 It comes in a roomy newborn size, so I decided that I would make a few from any cute boy flannel I had, and would buy some little newborn onesies to go along with them. I found two pieces of flannel in my stash: the Cloud9 organic flannel I mentioned from Pintuck & Purl designed by Eloise Renouf and a faux bois flannel from Joann Fabrics. Both are from several years ago, so the fabric isn’t around anymore (unless Joann’s has reprinted). They are favorite prints of mine that I have been saving for just the right projects. The pattern itself was really quick and easy to sew. I changed a few things from the printed directions, but not many. I used French seams, since I didn’t want any fraying on the inside that could wrap around little baby toes. Then I basted the side seam allowances down where the elastic casing would be at the waist to make it easier to thread the elastic through. Finally, I hemmed the bottoms by pressing up 1/4″ to the wrong side, and then pressing up that much again to the wrong side, enclosing the raw edge. 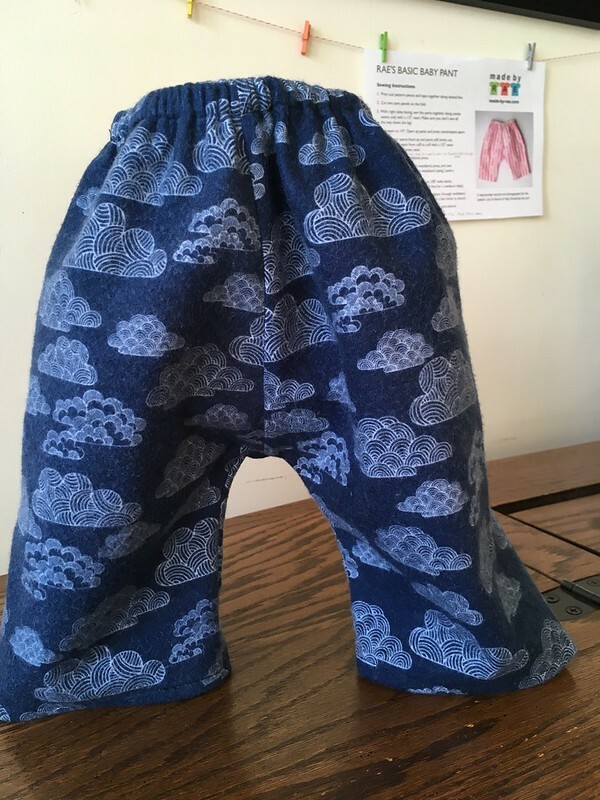 If you follow the tutorial on Rae’s blog, she tells you to hem the bottom (it’s just missing from the PDF instructions) and includes lots of pictures for all the steps. 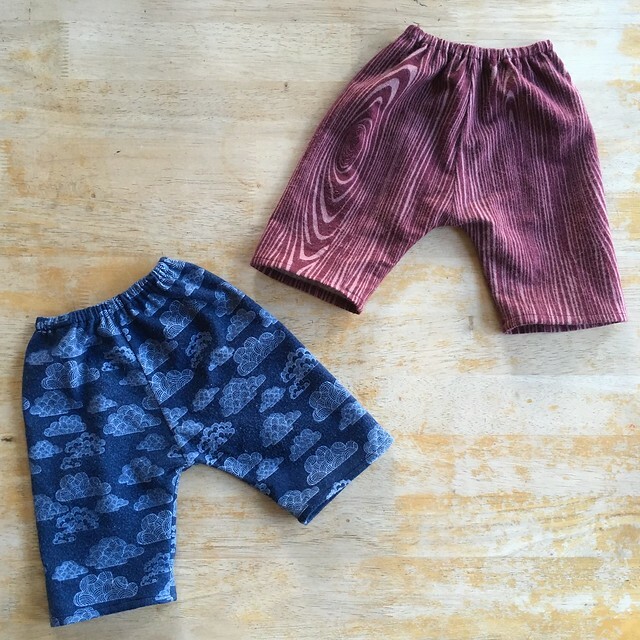 She talks about sizing, noting that these are roomy enough for babies wearing cloth diapers, and goes over ways you can adapt the pattern for slightly older babies. Before I go, I have a question for any other bloggers out there. Where do you store your pictures? This blog is a free WordPress blog, and I ran out of picture space long ago. I’ve been storing my photos on Flickr because you could have a free account with unlimited space. However Flickr has been sold, and in order for me to keep using Flickr (and not have half my photos deleted), I need to pay a yearly fee. With the exception of about four people, the only people who save my Flickr photos or follow or message me on Flickr are definitely not people in the sewing community. Let’s just say I’ve had to block a lot of sketchy accounts. If I could keep my photos private and still have them show up on the blog, I would. Because I don’t make money with this blog, I’d prefer not to pay to keep it going. Is there some other obvious way to store photos? What do you do? Do you pay or not? I will if I have to, but if I can keep blog production free, that would be great. Thanks for any help you can give! Hey, everyone! It’s been awhile! I’ve been sick or taking care of sick people for the last month over here; hence, the silence on the blog. I think I am mostly better at this point, so I thought I ought to write up a blog post! Thankfully I had these photos ready to go, because I haven’t gotten to the point of taking new blog photos yet. Hopefully soon! This one is a little bit of a departure from my usual makes. 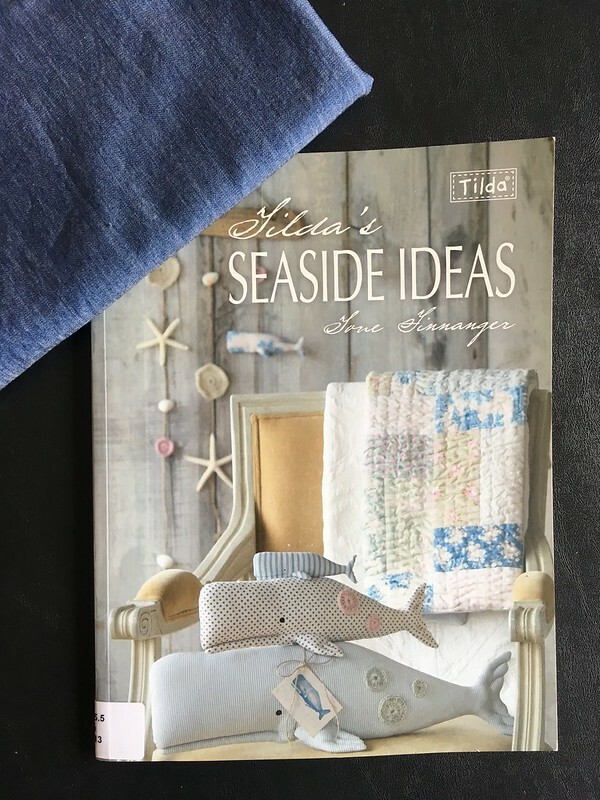 I sewed up some stuffed whales from the book Tilda’s Seaside Ideas by Tone Finnanger. 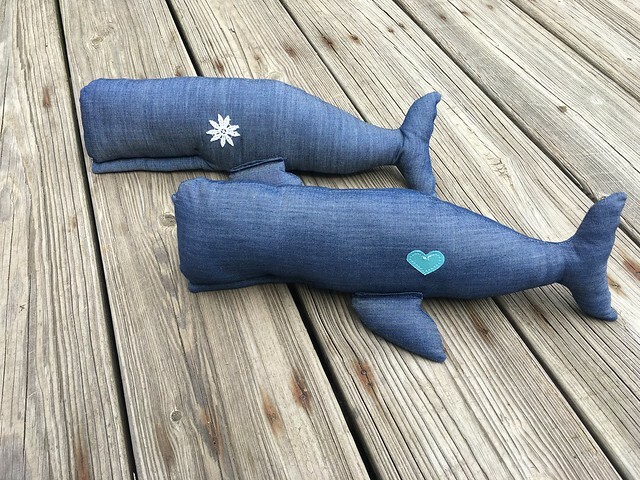 Both whales were baby gifts. I tend to find an interesting project to make as a baby gift and then make that until I’m ready for a change. In the past, I’ve made flannel baby blankets and burp cloths, little kitty stuffed animals, etc. This time I decided to go with whales. I can’t remember how I found this pattern–maybe Pinterest, but my library system had the book that the pattern was in, so I checked it out and got started. 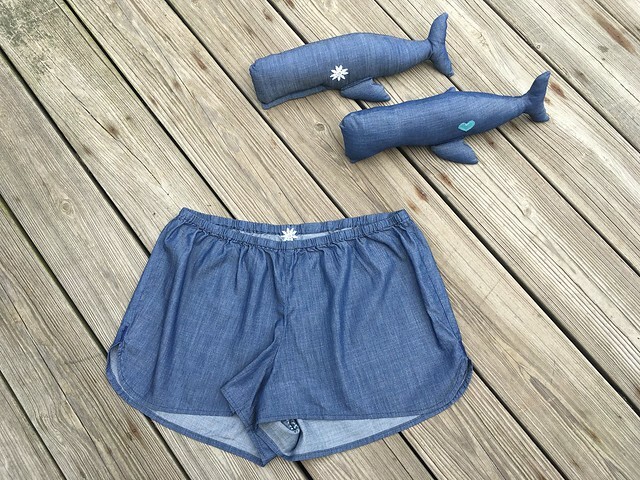 I had some Art Gallery denim left over from my shorts, and I liked the idea of using that for the whales. For one of them, I used a little lace flower as an embellishment because I thought it fit my friend’s style. 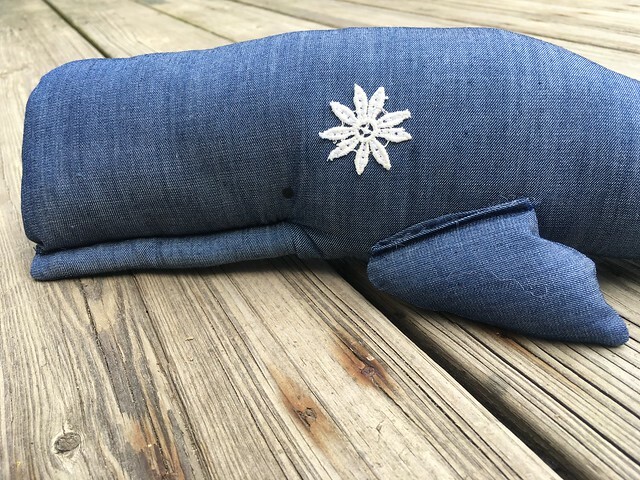 For the other whale, created for a family member, I made a little heart from the bridesmaid dress I wore in her wedding. The eyes are drawn in with a fabric marker, so I wouldn’t have to worry about them becoming choking hazards. I am not experienced in making stuffed animals, but I thought that certain parts of the pattern seemed a little…ambitious? 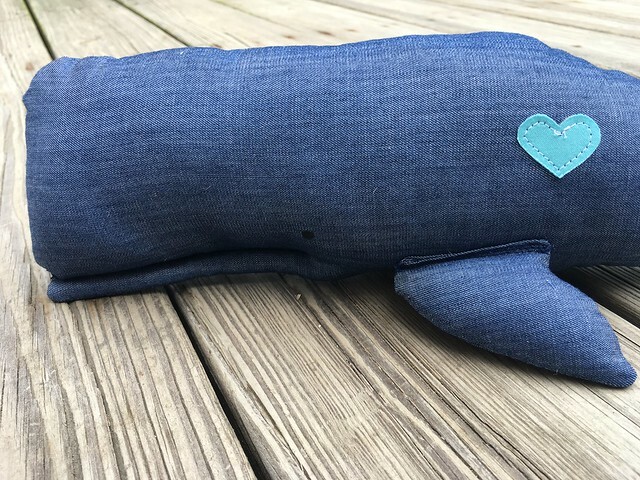 In general, it’s an easy pattern, but there were some stitching lines on the tail and fins that you are supposed to push stuffing into, and since I made the medium size whales, it didn’t seem very realistic to think I could stuff those without a lot of frustration. Just getting stuffing into the little space under the sewn mouth was tricky enough, so I left off the added tail and fin stitching. This wasn’t a tricky project overall, and I really love how they turned out. I think the moms liked them, and it was good to have a homemade gift to give. I used to give handmade baby gifts almost exclusively, but I really don’t any more–just once in a while. Now I’ll have to keep my eye out for the next baby gift project. 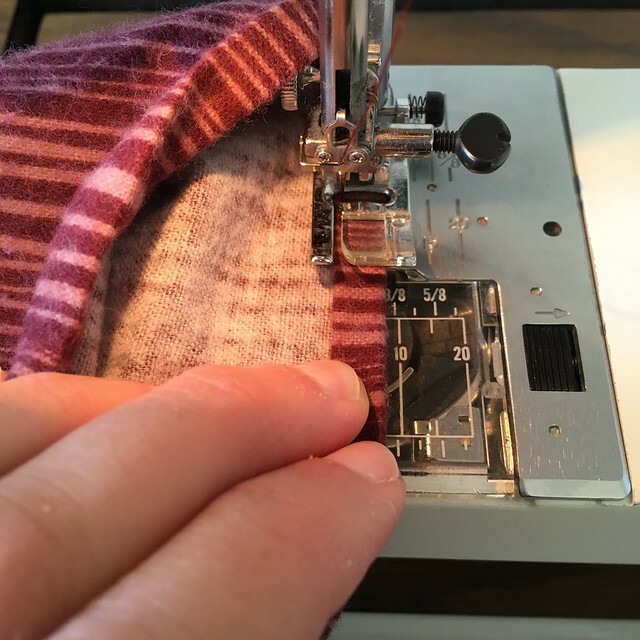 A great sewing blog that I have been looking through lately is A Fashionable Stitch. Sunni hasn’t been posting much lately, but she has a few years’ worth of very informative, interesting, and inspiring posts. I love Anne Bannert’s feed on Instagram (@anne_bannert). She started following me when I first began using Instagram (although I have no idea why or even if she still follows me), but I followed her back and found the most fascinating feed. She is a model, originally from Germany, who lives in Connecticut. However if, when I say “model”, you picture a pretty but helpless woman, you would be completely wrong. If Anne’s car needs new seat covers, she’ll sew them. If her fence falls down, she cuts new posts, pours some concrete, and fixes her fence. Maybe she’ll weld something, or play polo, or train a horse or take care of chickens. This lady is truly impressive. It’s so much fun to get a glimpse into her life. Another cool Instagram feed to check out is Eugenia Zoloto’s (@eugenia_zoloto). She is a paper cutting artist in Ukraine. Her work is really stunning. I don’t know why fitness can be so funny, but here’s another LEGIT workout for you! Prancercise!!! !